◆ Best wishes today and all the days to come. 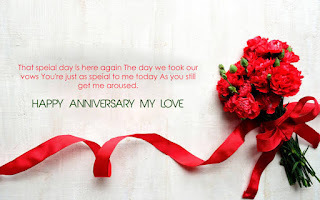 Happy Anniversary to the both of you! ◆ I couldn’t imagine where I’d be without you two, literally! Happy anniversary. ◆ Happy Anniversary to the parents that inspire me every day. Best wishes to you two for all the years to come. ◆ If the apple doesn’t fall far from the tree, I’m expecting to marry the girl of my dreams and being married X number of years. Thanks Mom and Pops.